The most detailed information on plume morphologies comes from close-up images of eruptions that were taken in sunlight and show the distribution of dust-sized particles which may include entrained silicates, snow, and supercooled droplets. Consistent with the evidence presented by plume deposits and surface changes, images of these dust columns suggest two distinct types of volcanic plumes on Io. Most dust plumes tend to be small and optically dense, typically reaching heights of less than 100 km. The archetype of this class of smaller plumes is Prometheus (Figure 8.1), which has been seen actively fountaining S02-rich gas and dust at every favorable observing opportunity since the Voyager fly-bys. The location of Pro-metheus's source has migrated more than 80 km over the 20 year interval between Voyager and Galileo, tracking the foot of a lava flow that has been issuing from a small patera to the east (McEwen et al., 1998). The presently active plume is centered over an expanse of recently emplaced silicate lava. 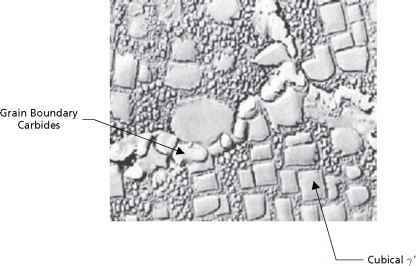 It is suggested that the plume arises when hot silicate lavas bury the icy, S02-rich substrate (Kieffer et al., 2000). 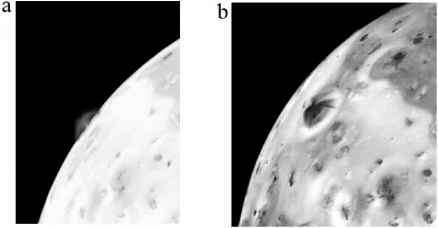 Smaller jets at the active margin of the flow can also be seen in Galileo images (Milazzo et al., 2001). Several similarly sized plumes are associated with lava flows elsewhere on the satellite. The morphology of these smaller plumes ranges from fountain- to umbrella-shaped, with an optically thick core near the source region. An image of the shadow of Prometheus, taken during Galileo's orbit 9, shows a dense vertical column of dust topped by a mushroom-shaped canopy. A central spike in the column may be populated by fine particulates (Zhang et al., 2004). Wispy filaments have been spotted in the dust streams from Prometheus, suggestive of plume electrification (Peratt and Dessler, 1988). Figure 8.1. Prometheus, the archetype of small plumes. (a) Voyager 1 image profiling Pro-metheus's umbrella-shaped dust plume along Io's limb (NASA press release image PIA00374). (b) Oblique Voyager 1 image showing filaments in the dust plume (NASA press release image PIA00373). (c) Galileo image of the shadow cast by the plume (NASA press release image PIA00703). (d) Galileo violet-filter image of Prometheus's concentric rings, taken on orbit 14 (NASA press release image PIA01604). (e) Galileo image of the source of the plume, a lava flow that extends ~100km westwards from Prometheus Patera (NASA press release image PIA2565). (f) Close-up view of the margin of the lava flow, showing fresh deposits of bright SO2 frost where the dark silicate lava has encroached on the icy surface. Scale bar is 1 km long (NASA press release image PIA02568). Figure 8.3. Zamama and Prometheus (see also color section). 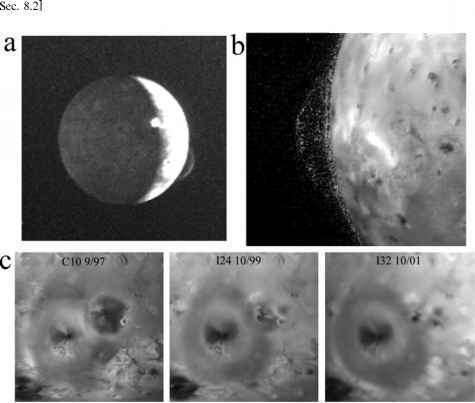 This sequence of four images watches as two small plumes rotate onto the disk of Io. The blue colors of the plumes are caused by the light-scattering properties of the dust particles (NASA press release image PIA01652). overturning lava lake that continually exposes hot lava and exhales sulfur-rich gases from Io's interior. Dust plumes can be seen in daylight to have bluish colors that contrast with the yellow and orange hues of Io's surface (Figure 8.3). The blue colors are caused by the wavelength-dependent light-scattering behavior of small dust particles. The color, brightness and opacity of dust plumes yield information on the dust grain size distributions and the dust deposition rates of the eruptions. However, the dust particle sizes and dust plume masses derived from photometric analyses vary greatly, depending on the assumptions made. Collins (1981) applied a Rayleigh scattering law to Voyager 1 color observations of Loki's plume, effectively assuming that the particles were much smaller than the wavelength of visible light. He found that particles on the order of 1-10 nm in radius comprised most of the mass of the plume. A second population of particles with distinctly redder colors was found in the core of the plume and interpreted to be made up of particles larger than 1,000 nm. From the brightness of the plume, the total mass of particles was inferred to be between 108 and 1011 kg, with the larger values corresponding to smaller (1-nm) particles. Assuming a dynamical lifetime (flight time) of order 103 seconds, these masses imply dust production rates of 105-108kgs-1. On the other hand, Spencer et al. (1997) fit a Mie scattering law to color observations of Pele's plume taken by the Hubble Space Telescope (HST). Mie theory assumes that the particles are comparable in size to the light wavelength. Pele's scattering properties were fit by particles 50-80 nm in radius with a total dust mass of only 106 kg. Applying the same theory to the data of Collins (1981), the authors found that Loki's plume could also be accounted for by larger particles of 50 nm radius with a smaller plume mass of 106kg, implying dust eruption rates of order 103kgs-1. Spencer et al. regarded their estimate as an upper limit, since the attenuation by Pele's plume could equally well be accounted for by SO2 gas absorption in a vapor plume with a mass of 108 kg. Indeed, later HST observations (Spencer et al., 2000) showed that much of the plume's opacity could be ascribed to gaseous S2, further reducing the possible attenuation due to dust particles. 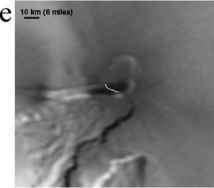 The HST observations also suggested that Pele's plume is highly variable, appearing and disappearing on timescales of just 21 hours (Spencer et al., 1997). Geissler and McMillan (2006) fit Mie scattering models to Galileo visible color observations of the optically thick dust columns from Prometheus-type plumes. The results agree with those of Spencer et al. (1997), suggesting that the conspicuous dust plumes are made up of coarse-grained "ash" particles with radii on the order of 100 nm, and total masses on the order of 106 kg per plume. However, long-exposure images of Thor in sunlight show a faint outer envelope in addition to the optically thick core, similar to the structure of Loki. The outer envelope is apparently populated by particles small enough to be carried along with the gas flow, perhaps formed by condensation of sulfurous "snowflakes" as suggested by the plasma instrumentation aboard Galileo as it flew through Thor's plume (Frank and Paterson, 2002). The total mass of these fine, nearly invisible particles may be much greater than that of the coarser ash, and could account for significant resurfacing.